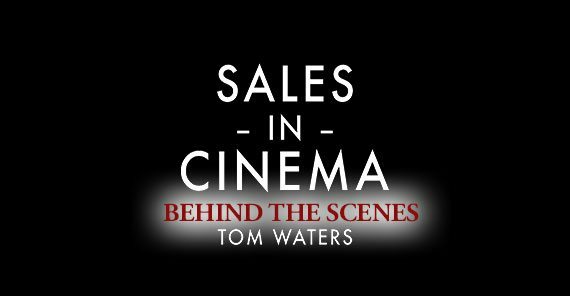 If you haven’t seen it yet, click here to view our first episode of Sales in Cinema! This blog post is a supplement to the topics outlined on our YouTube channel. Why do we love sales movies about criminals? 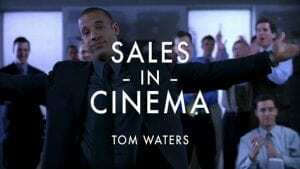 Modern sales movies tend to portray the extreme techniques and lifestyle of salespersons. We can learn a lot from these extreme cases by studying them. Buried in the fantasy lies a practical application of the sales concepts we see. Walking the line of manipulation, we can see important elements of persuasion. The movie “Boiler Room” explores themes of greed, deception and exploitation. We are taken through the experiences of Seth Davis (played by Giovanni Ribisi) as he rises through the ranks of an aggressive stock sales agency. The firm is later uncovered to be an elaborate fraud. Their sales training is designed to bilk investors through deception and emotional exploits. It is fascinating to hear sales reps rank Boiler Room and The Wolf of Wall Street among their favorite sales movies. These movies, while entertaining, portray our skill sets as parlor tricks. Their only goal is to part victims from their hard-earned money. Then why do we enjoy them so much? I believe we enjoy them because buried beneath the sleazy fantasy and deceptive sales tactics are familiar principles that allow us to relate. Having reviewed Ben Affleck’s monologue on our YouTube channel, let’s have a look at another famous clip from the movie. This scene is dubbed “The Reco”, which means the junior agent has sufficiently warmed up his prospect to gain an immediate interest. This prompts the junior agent to alert any available senior agent to the potential sale. The senior agent then tries his (or her) best to close the deal right then and there. 0:05 – A typical cold-call begins with a decision maker who is too busy and concerned with their immediate problems. They will not want to pay any attention to you or your solution. As a sales rep, you should prepare for this disposition and create a script that helps you keep their immediate attention. 0:27 – This sentence turns the conversation around. “Hey tell me something, now you’re a doctor.” It completely transforms the call. It humanizes Seth as a normal person attempting to have a conversation instead of pursuing a goal. It attracts the attention of the decision maker to discuss the sale in a context that is familiar to the doctor. 0:43 – This segment shows that Seth is still new and “throwing darts” with his presentation. He assumes the decision maker is too busy to discuss the stock with him and tries to end the call. This action helps Seth accidentally show scarcity and authority. Sales reps are trained to never end a call. The decision maker should always prompt for the end of a call to ensure you’ve retrieved the most information. You should also explore and exhaust all attempts at a commitment. But during this call, Seth mistakenly applies a useful sales tactic. He generates a distinct and immediate interest and casually brushes it off, thus creating an even stronger desire. 1:34 – Chris Varick (Vin Diesel’s) reacts to Seth’s attempts to explain the set-up of the presentation by saying: “I don’t want to hear it kid.” Vin Diesel’s presentation takes the conversation away from “persuasion” and into “manipulation”. He does not need to hear the basis of the prospect’s interests because he is only going to use emotional exploits and deception to win the deal. 1:37 – Chris’ presentation from the very beginning is a lie. He represents himself as the son of the named partner of the firm. While we should not be lying to prospects, the lesson here is that Chris uses a shortcut (deception) to secure a very real and necessary element of the sale (establishing authority). The prospect says “I might be interested.” To which Chris’ reply is “’Might be’ doesn’t sell stock at the rate this one is going, we’re talking very high volume here.” This sentence is a sales platitude. The term “very” is subjective and the entire sentence does not clearly define a measurable benefit. This is typical sales “aggrandizing”. If the stock was legitimate and actually had potential, his claims would be a natural part of presenting the opportunity. 1:58 – The prospect says “Well I still have to run it by my people.” This is a typical objection to which Chris already has a memorized rebuttal to overcome the concern and move forward with the sale. He applies another canned statement designed to elicit an emotional reaction and create an eagerness to “jump on board”. Again, if there was any truth to his rebuttal about the legitimacy of the stock, these rebuttals can be very useful for continuing a conversation about the sale. 2:18 – lol. The whole office is full of liars. 2:45 – Chris sets a trade maximum at 2,000 shares to exploit the new buyer’s emotional state. Here he is applying the “bandwagon effect’, which is a decision-making bias. People behave a certain way because of the perception that others are acting similarly. Sales principles and persuasive techniques are essential to building a successful sales portfolio. But to build a successful and sustainable business, you must make clear distinctions between persuasion and manipulation.